Mrs. Catherine (Kay) Dowling, an Associate Member of the Clerics of St. Viator, Province of Chicago, since October of 2000, died on Monday, September 22, 2003 in Arlington Heights, IL at the age of 67 after a long battle with cancer. 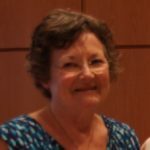 She is survived by her husband of 46 years, Daniel L. Dowling and her six children, Daniel Dowling III, Mary Kay (Dowling) Bendis, Maureen (Dowling) Casto, Steve Dowling, Joe Dowling and Ken Dowling, and several grandchildren. 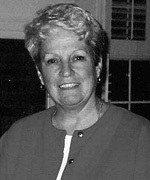 Kay worked at St. Viator High School as the Secretary to the President until she retired in 1995. She became a Viatorian Associate on October 22, 2000 and was a member of the Viatorian Commission on Association. She was instrumental in the development of the Associate program for the Chicago Province. Visitation was held at Overmann-Jones Funeral Home in Plainfield, IL on Thursday, September 25, 2003 from 3:00 – 9:00 p.m. The Mass of Christian Burial as celebrated at 10:30 a.m. on Friday, September 26, 2003 at St. Mary Church, 129 S. Division, Plainfield, Illinois. Please remember our sister Kay in your prayers.